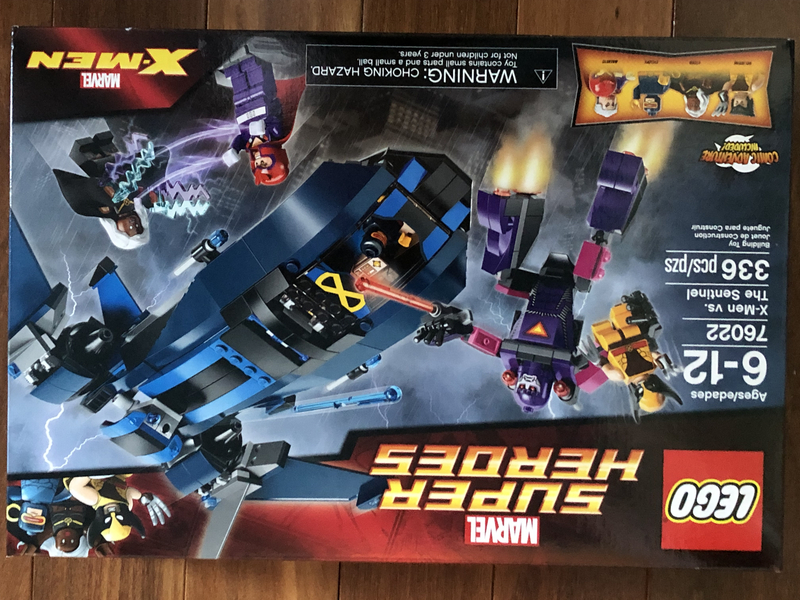 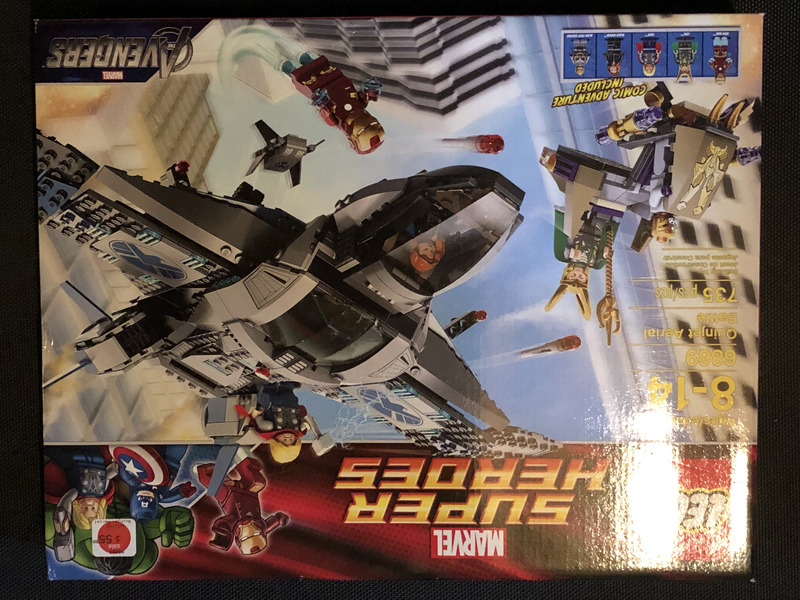 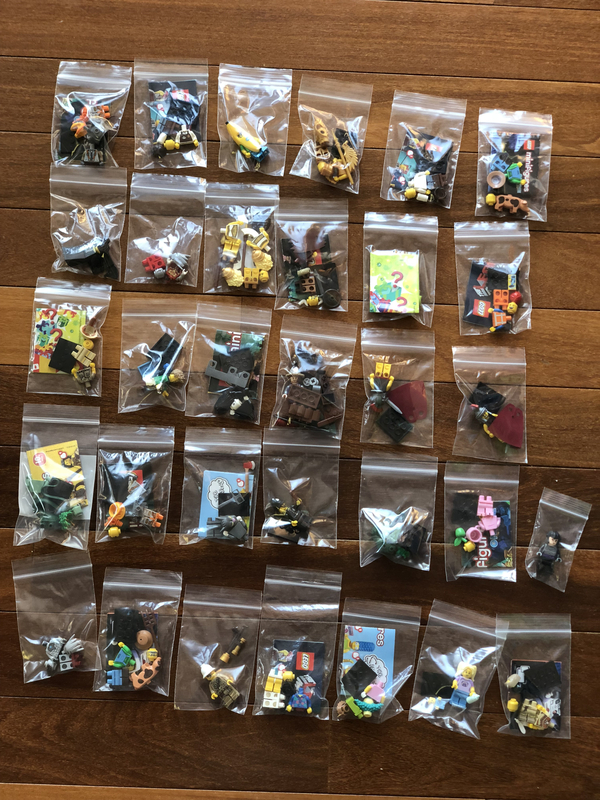 For Sale 50+lbs new pieces 100+ minifigures Store Wall purchases US based ship WW. 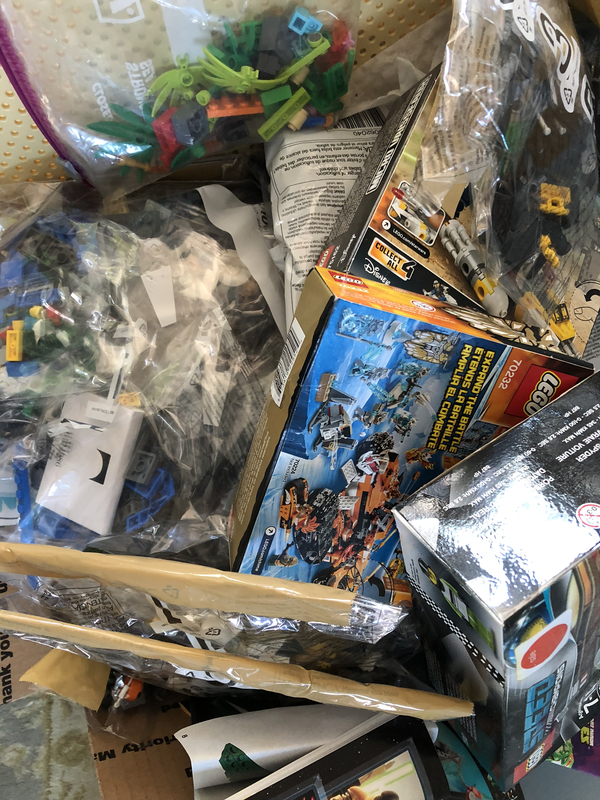 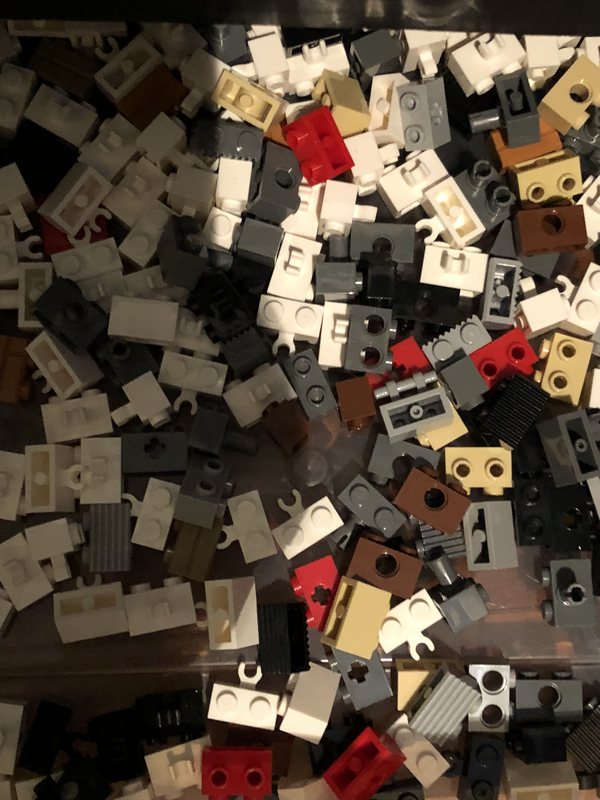 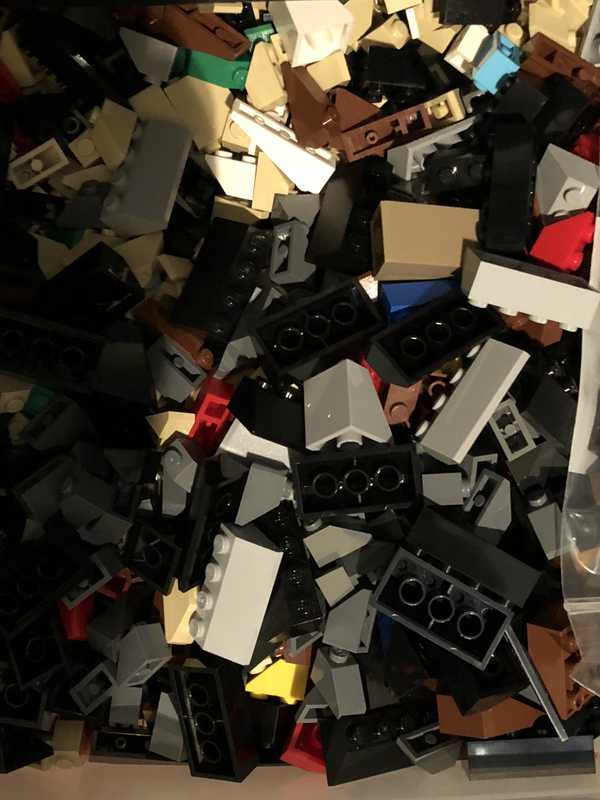 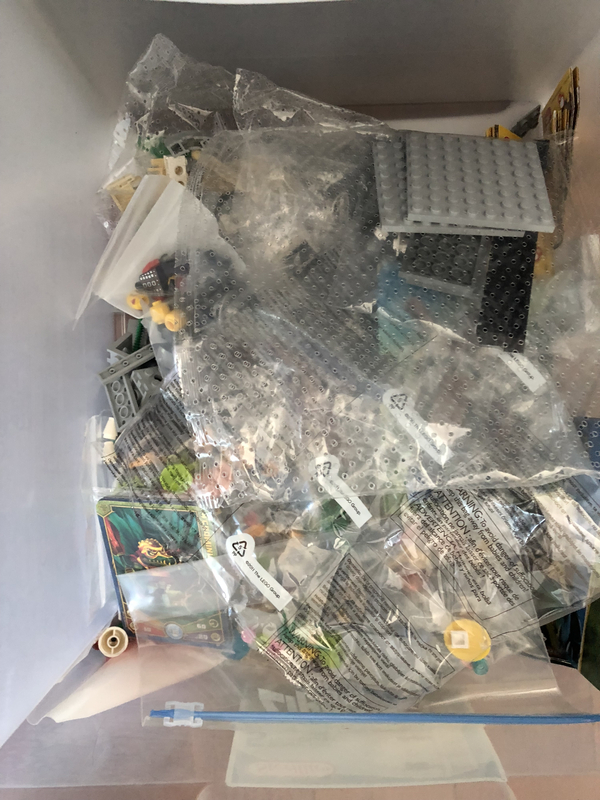 Please note all items, not in bags or containers have been kept in plastic mobile storage drawers in my office, and have not been used, some minifigures were put together just for ease of packing sorting. 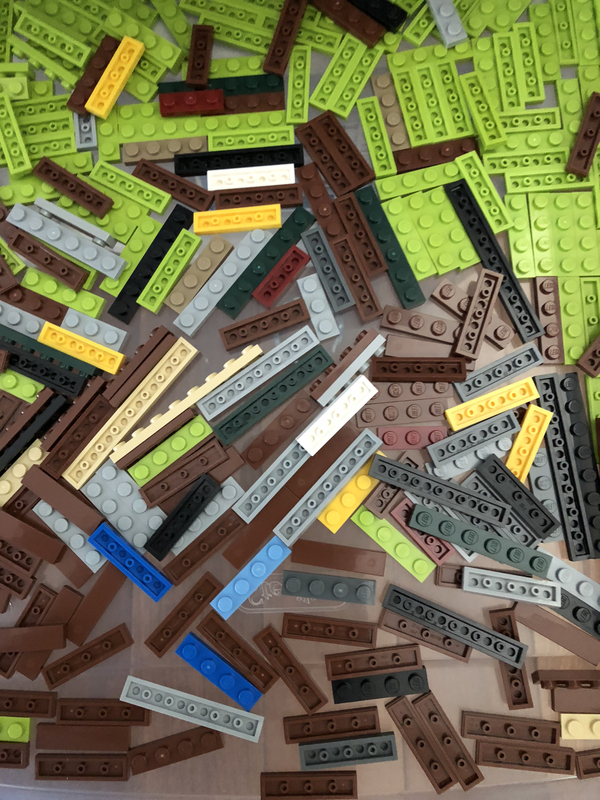 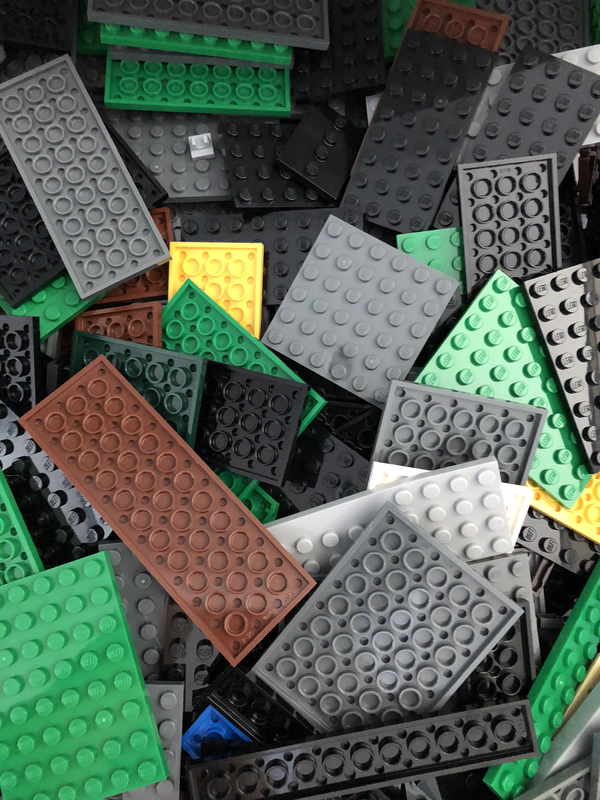 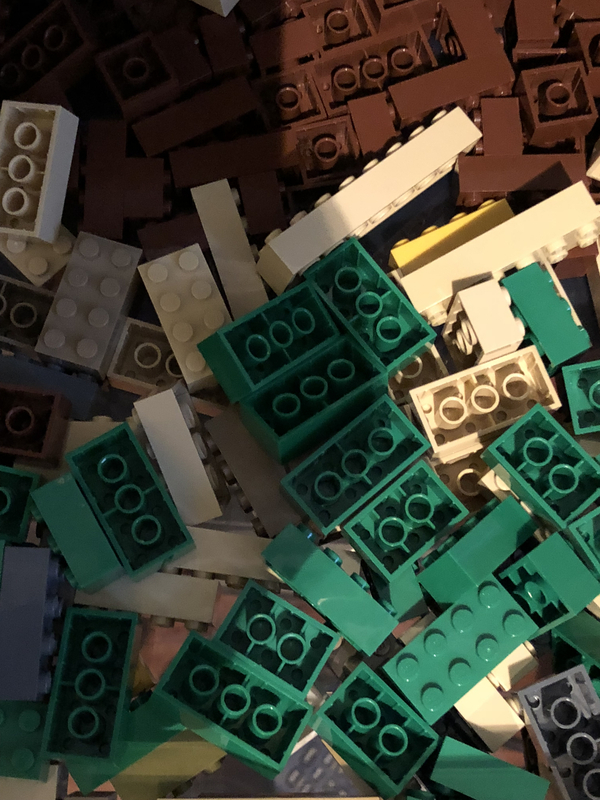 I had plans for custom sets and kids had more interest in Lego a few years back and these kept piling up. 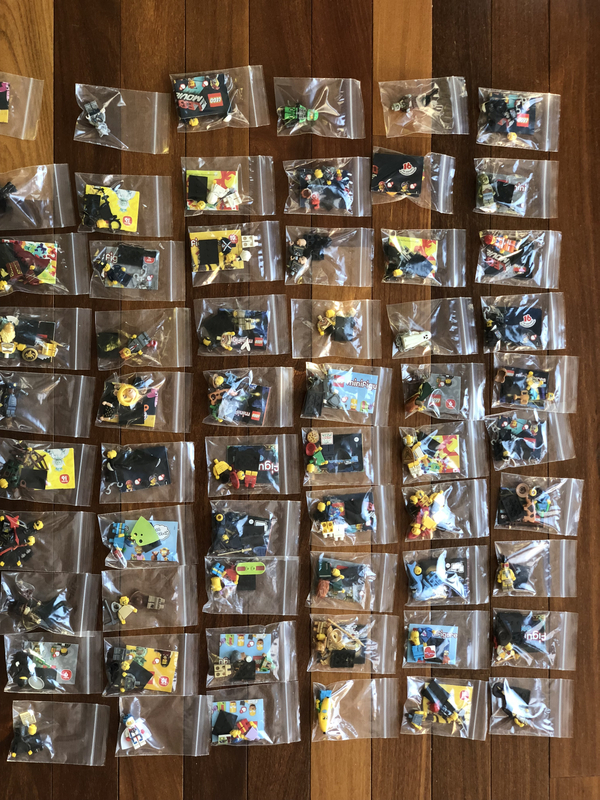 1- A lot of mini-figures from packs taken from sets where put in baggies when original packages were opened. 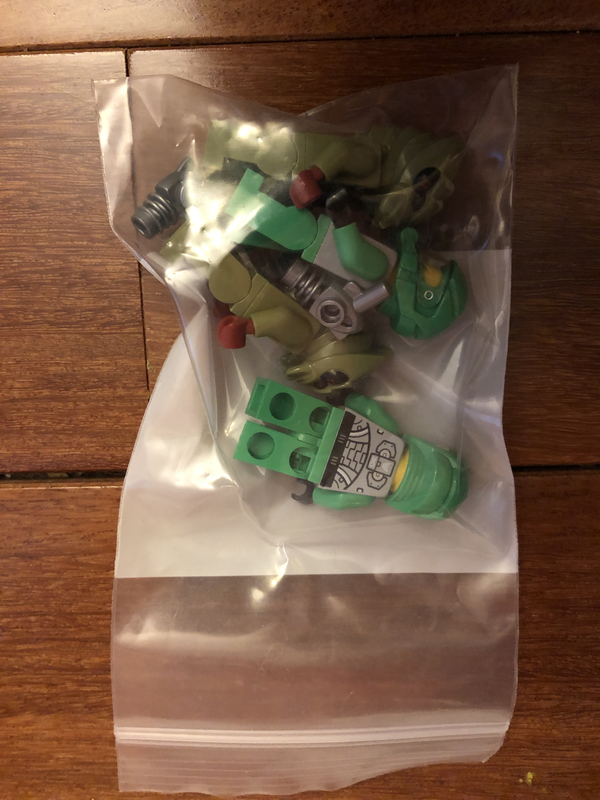 Mini-figures are from Minifigures series, battle packs, and larger sets. 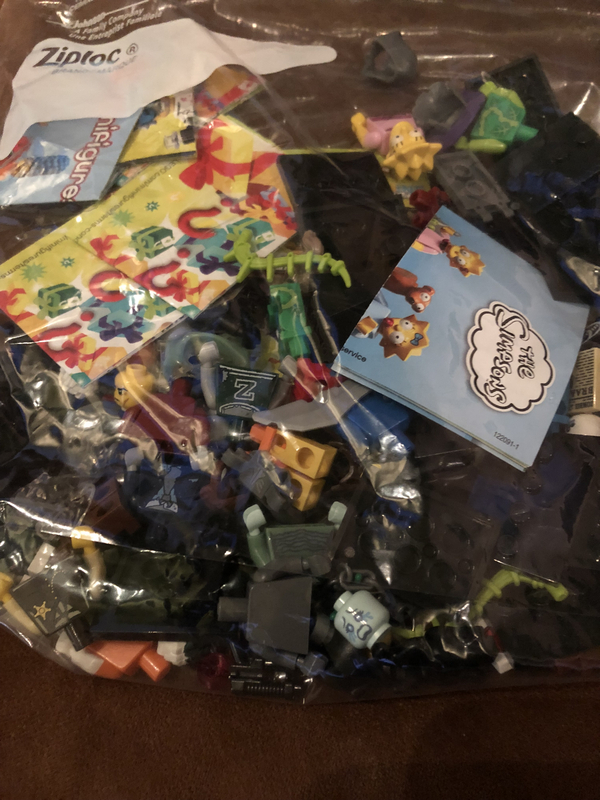 Count keeps growing as I open boxes that have damage, figures from LoRT, Hobit, Simpsons, Disney, City and other sets. 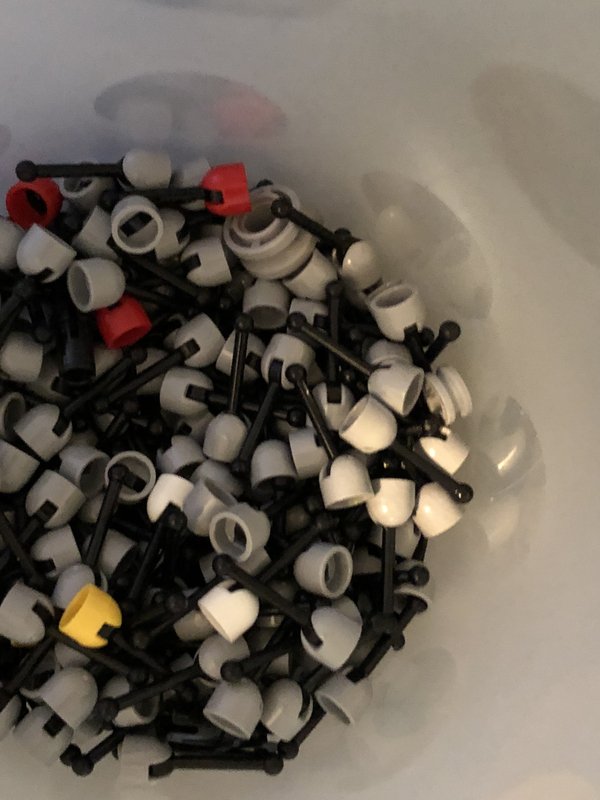 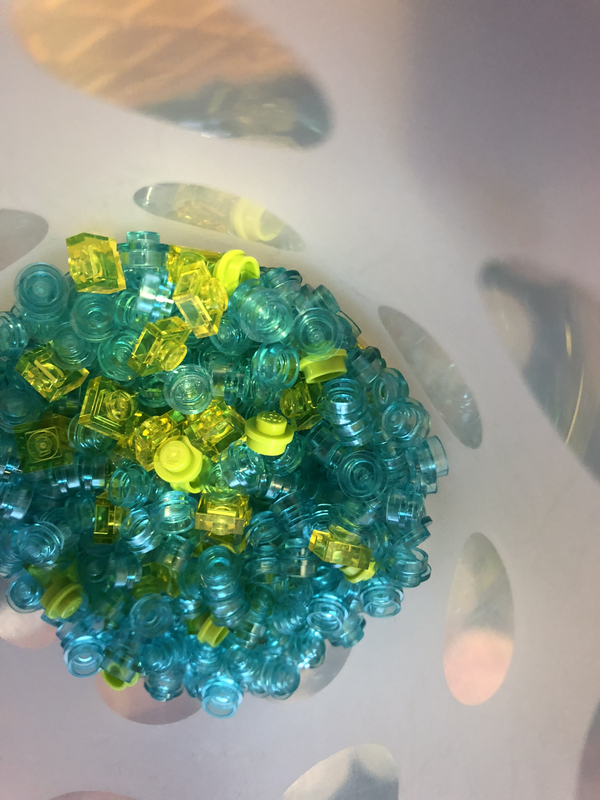 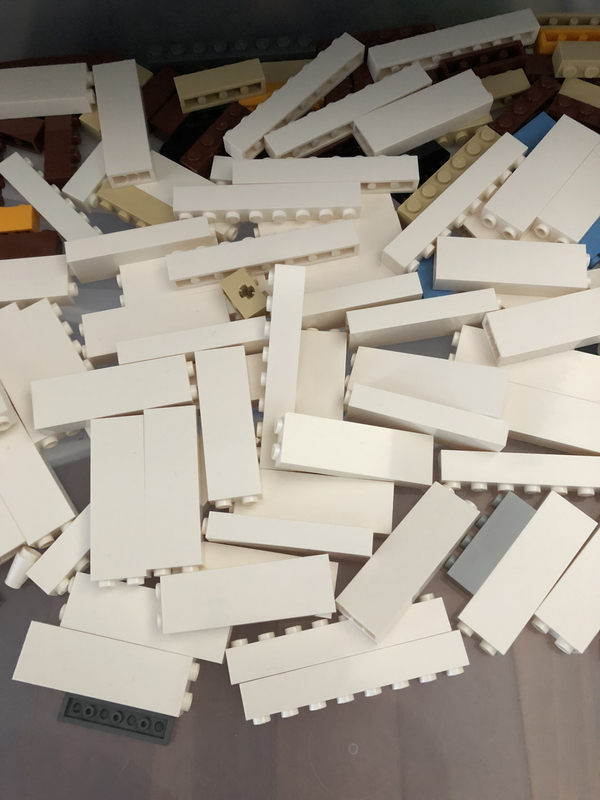 2 - A lot of Lego Store wall purchased parts currently in CUPs but will shop in Ziplocked bags. 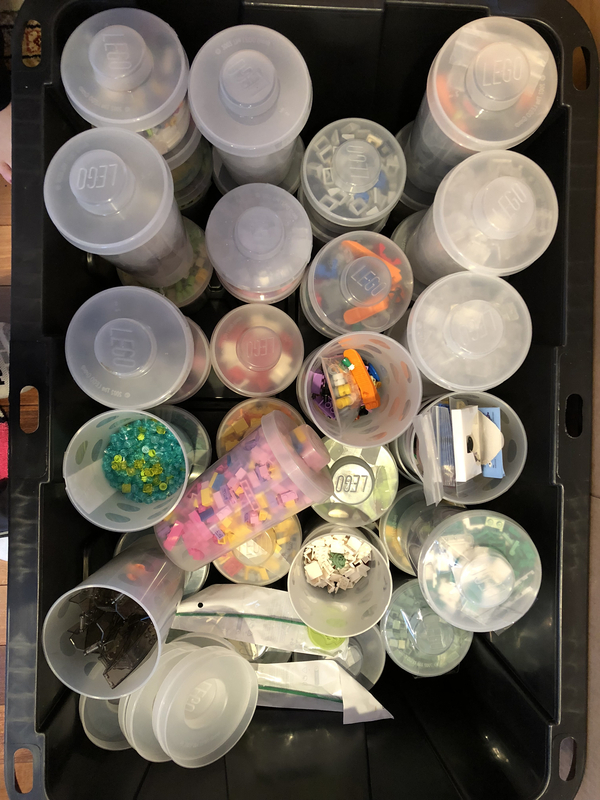 30 large cups 5 small cups varied parts, see pictures and ask for more pictures if you want to see more of the contents. 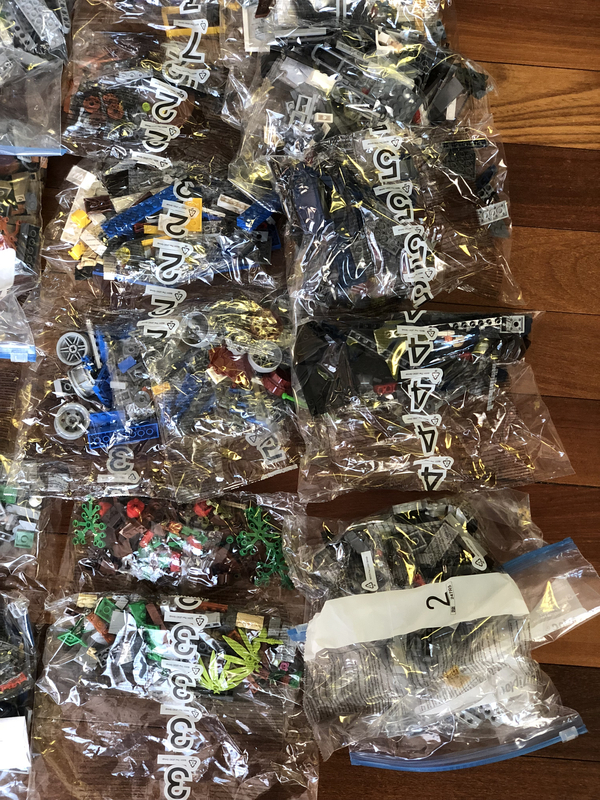 3 - A lot of some opened some sealed set bags, opened bags were to take out minifigures, some bag's not complete but there are about 25-35lbs, include Star Wars, Super Heroes (both Marvel and DC) Guardians of the Galaxy, LoTR, City, Friends, others. 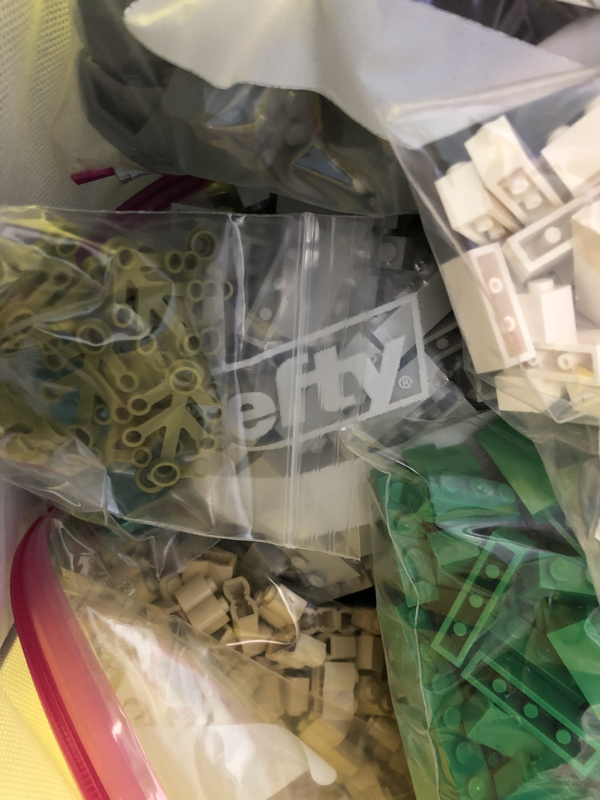 Still working on the bags to get a final weight. 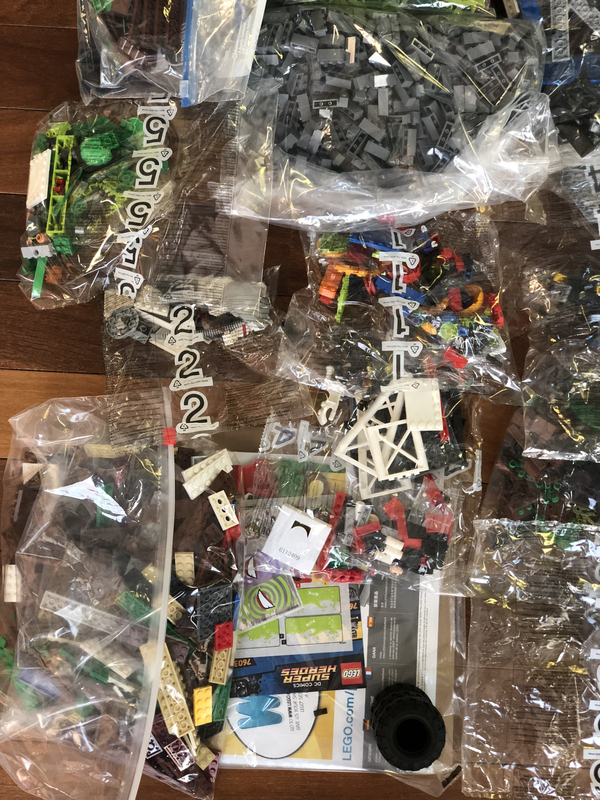 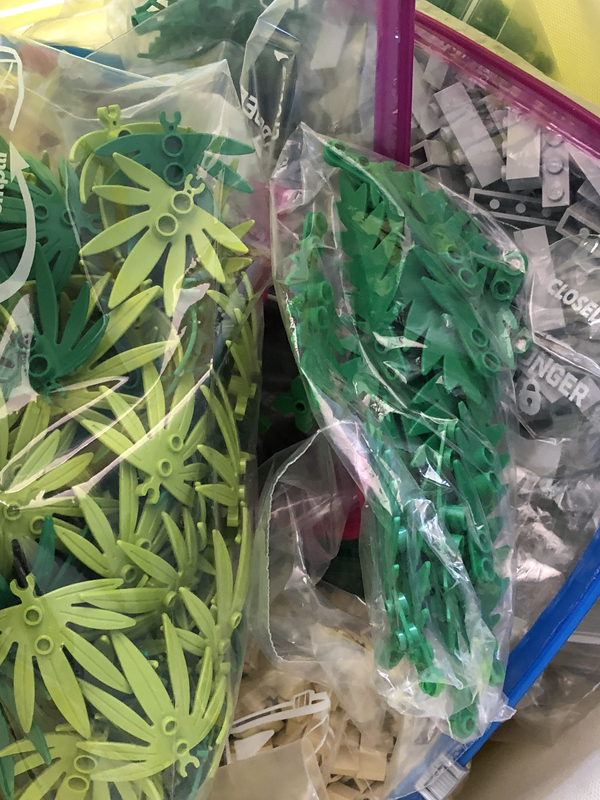 4 - A lot of Lego Store wall purchased parts currently in Ziplock bags about 20lbs. 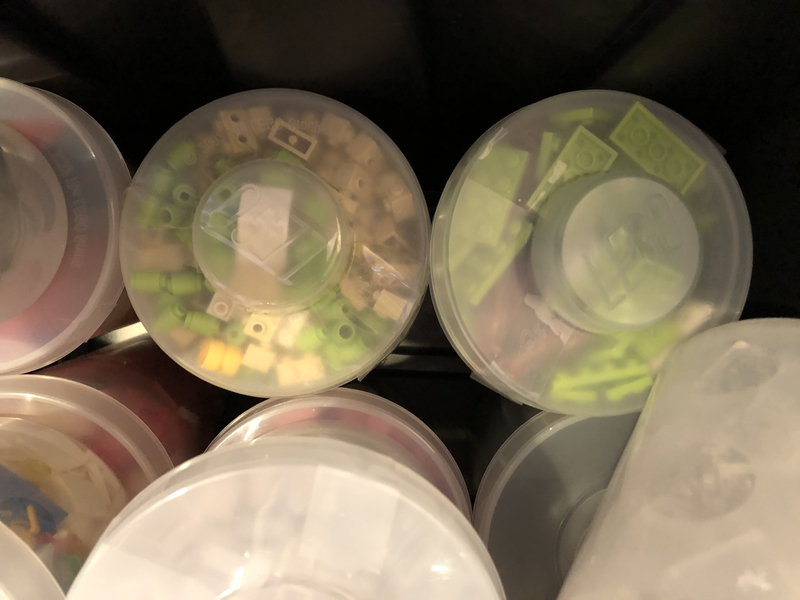 There are to many bags to put pictures of each, and containers. 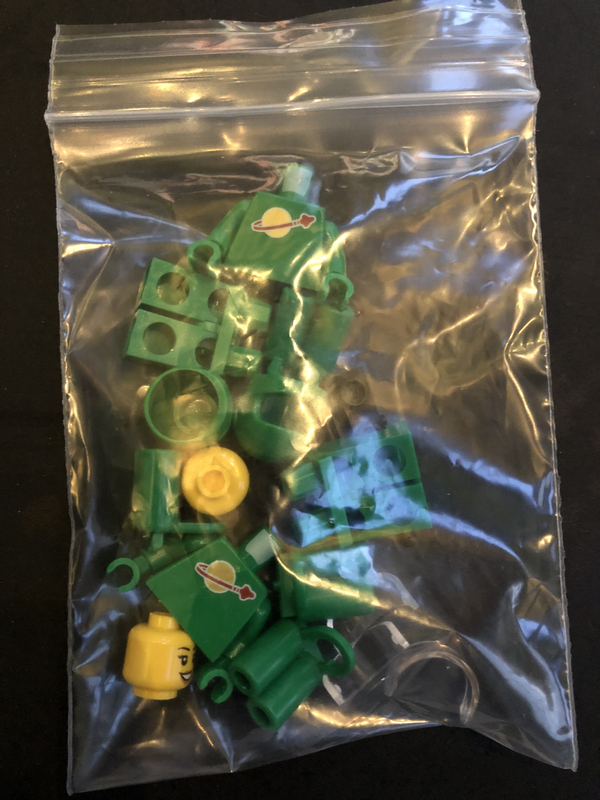 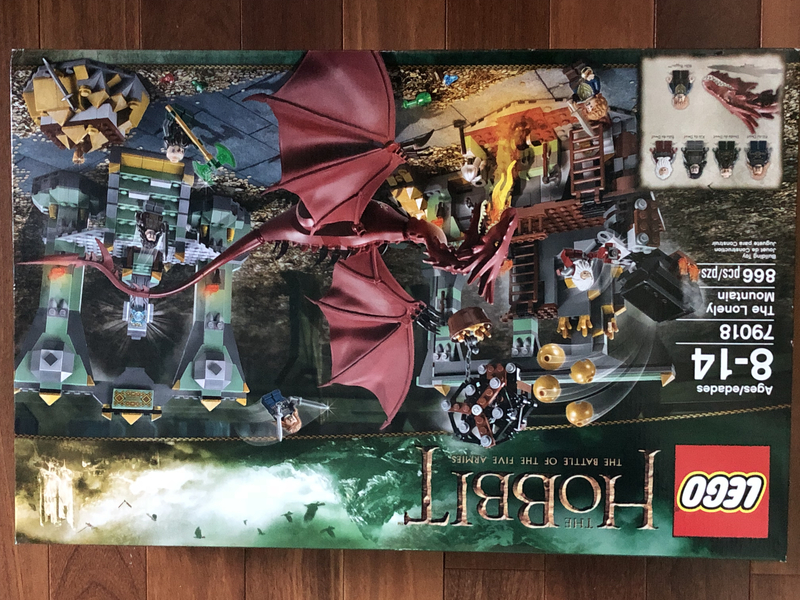 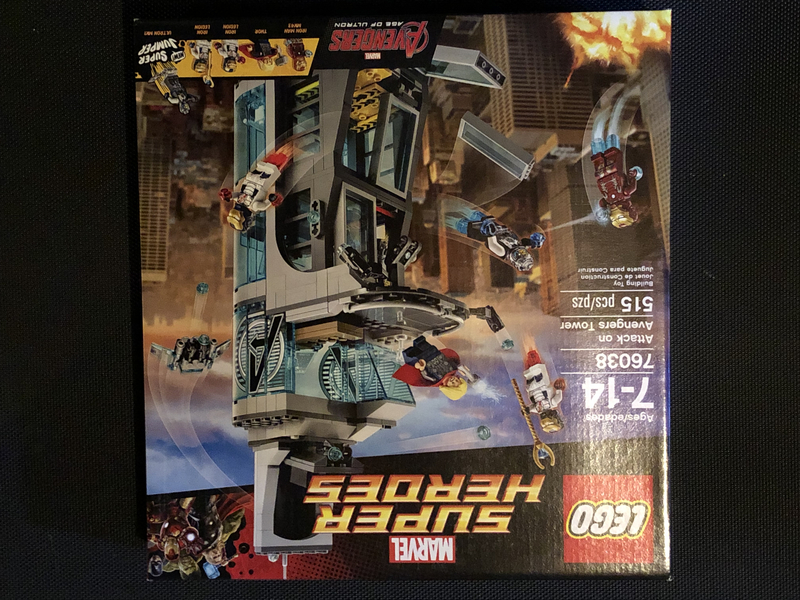 Also have instructions booklets for sets, that wer built (not selling) and sets that have bags opened from item #3 above. 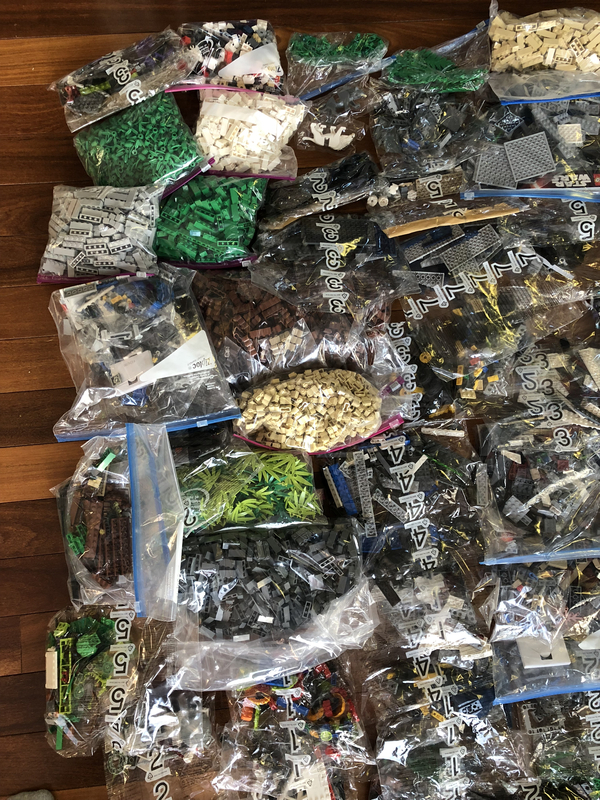 most NOT all items sorted at least by part type, some also by color. 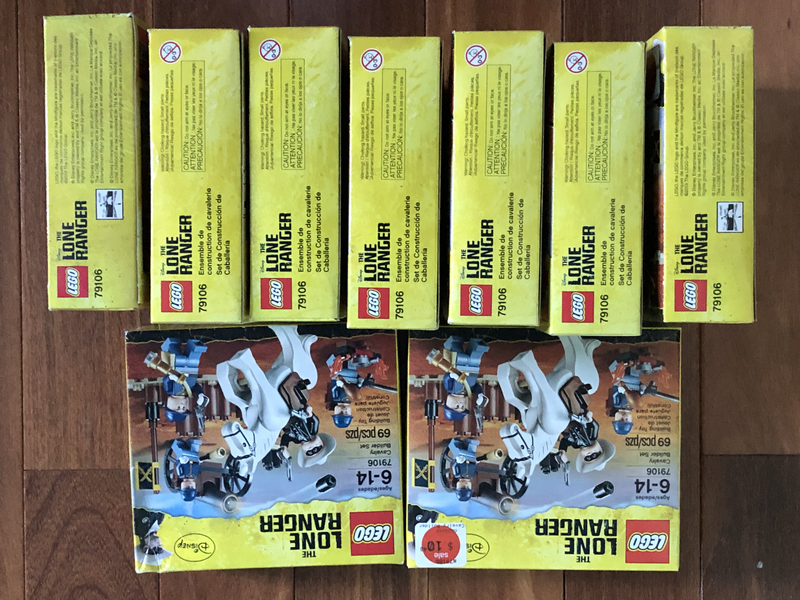 Would like to sell in lots, shipping will depend on country/state shipping too. 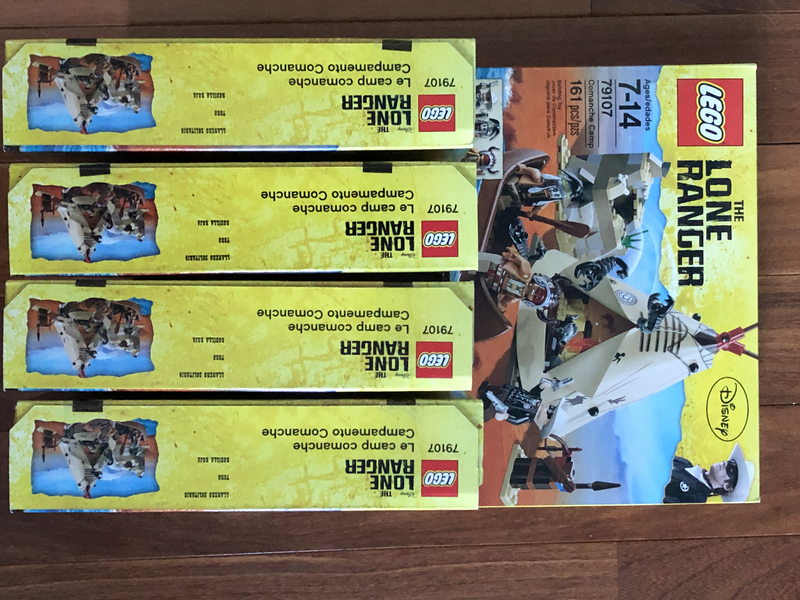 If you live in NJ/NY/CT/PA we can arrange to meet. 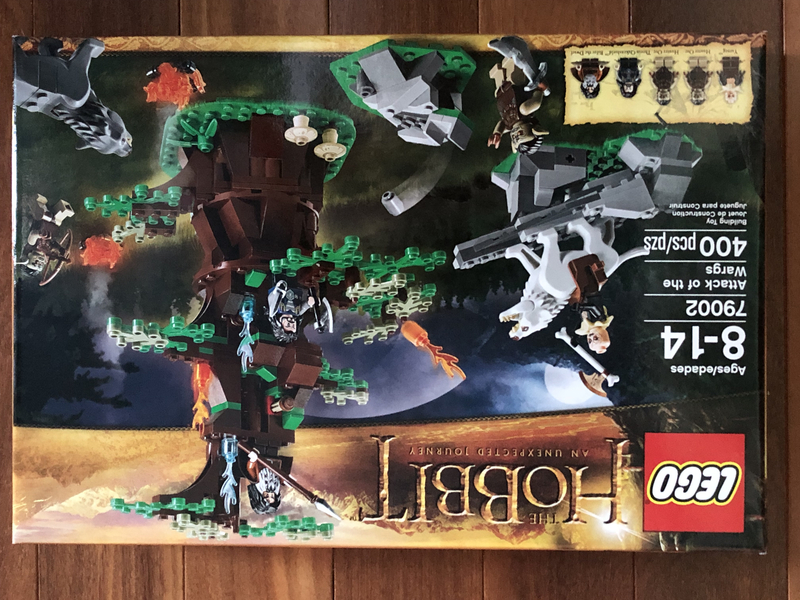 I have the Bilbo, still sealed in the little package it came in, looking for the other two items. 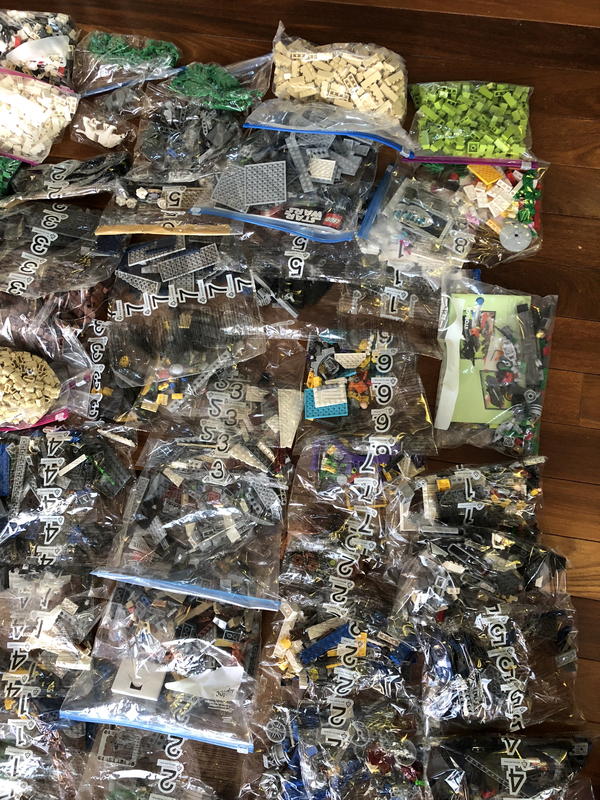 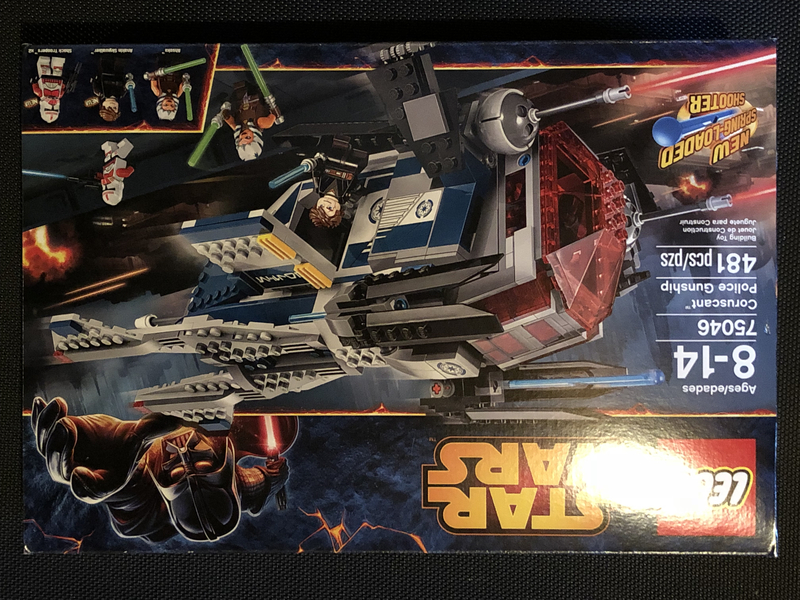 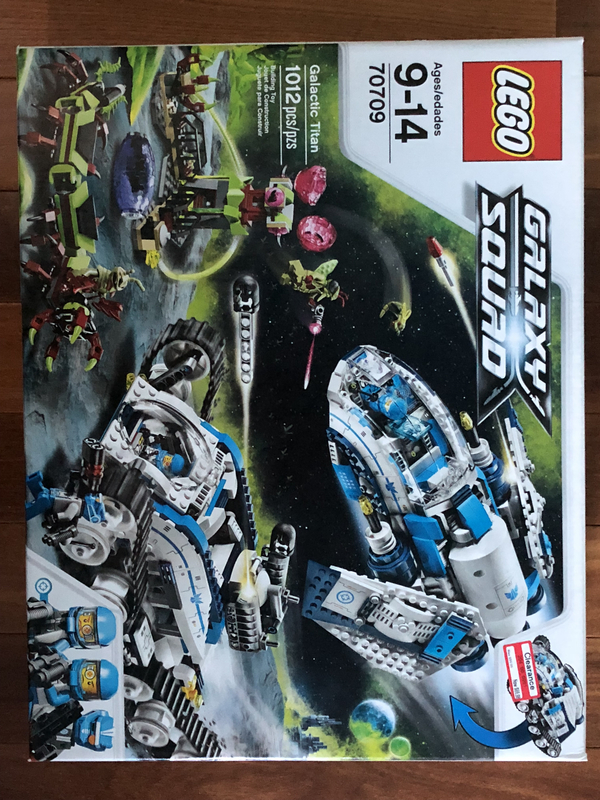 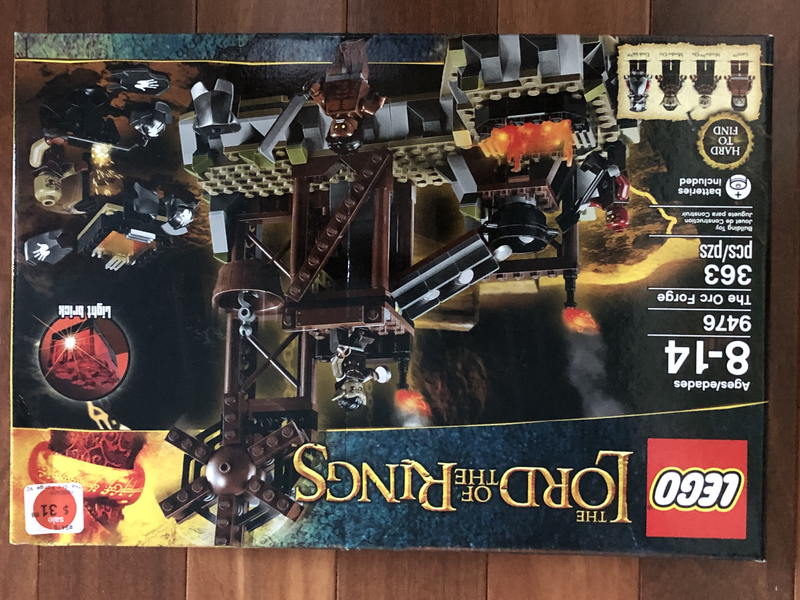 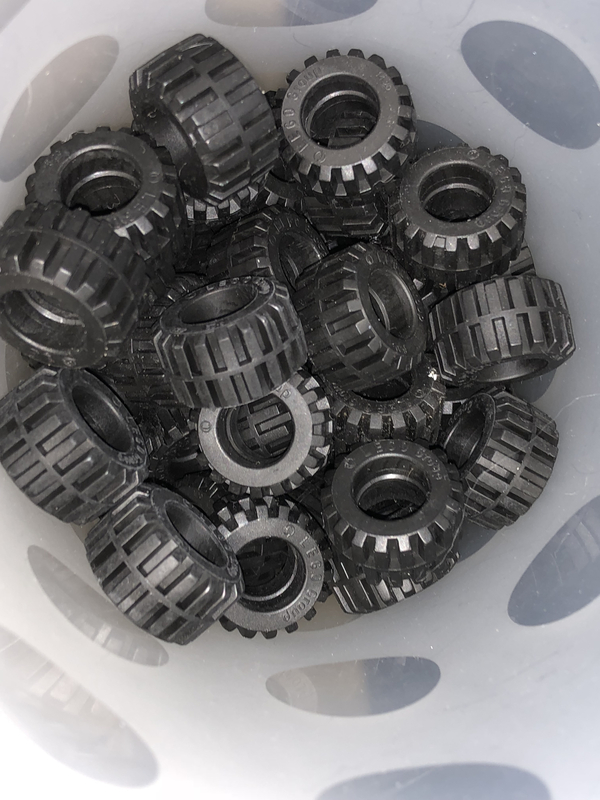 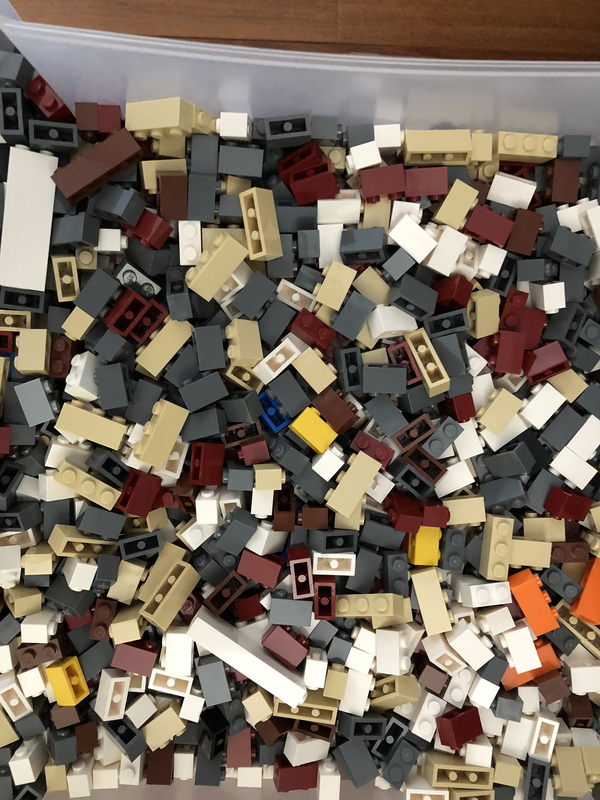 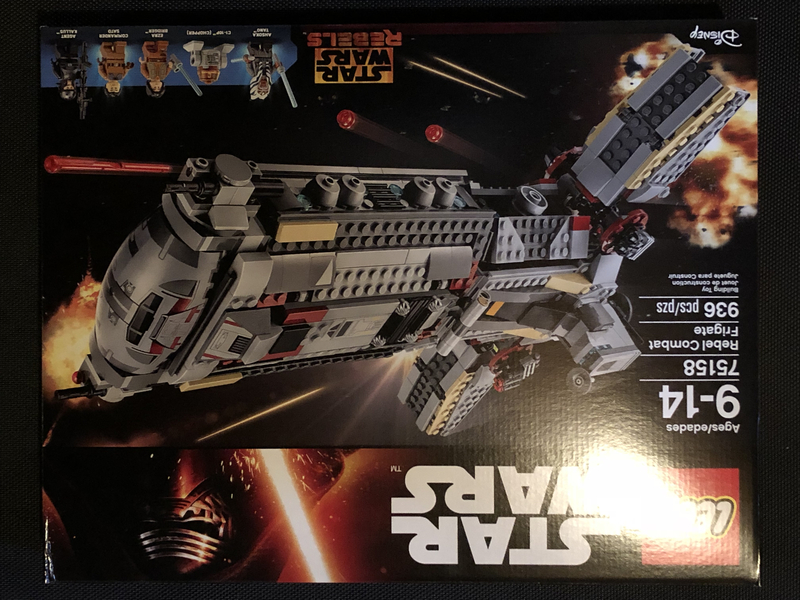 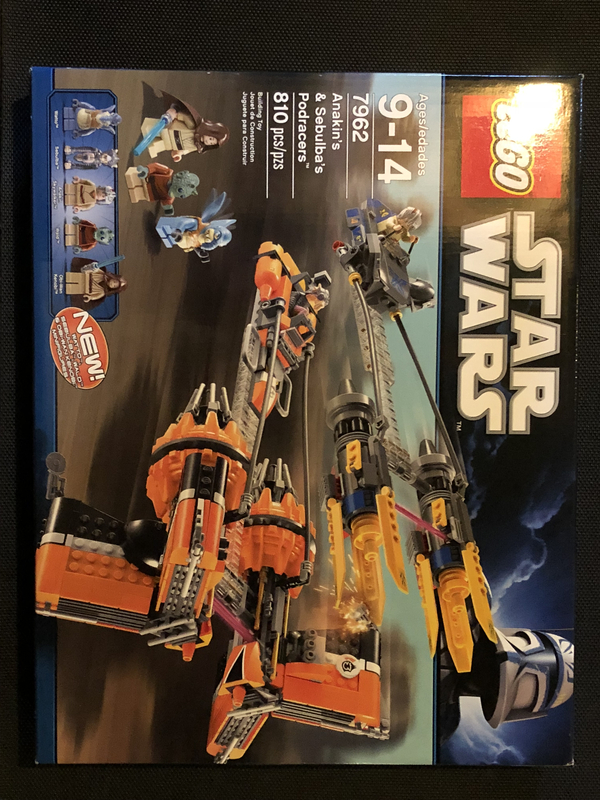 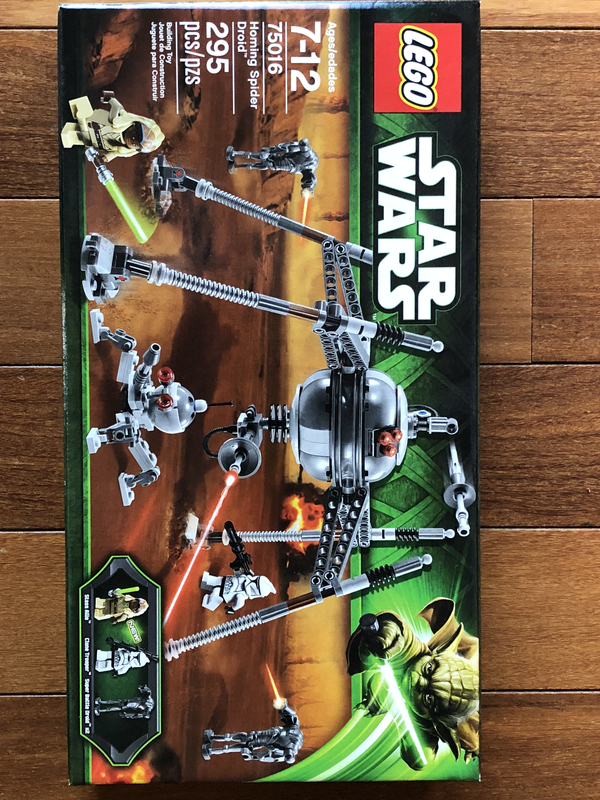 For all parts except mini-figures asking $11 per pound, currently 50lbs, USA $100 shipping as a lot that would include all sealed bags from, mostly Star Wars, and Super Heroes, some Friends, there are a large number of plants/leaves, tires, canopies, windows, clear 1x2s all unused from store walls purchased in last 10 yrs, and sealed bags that have figures included. 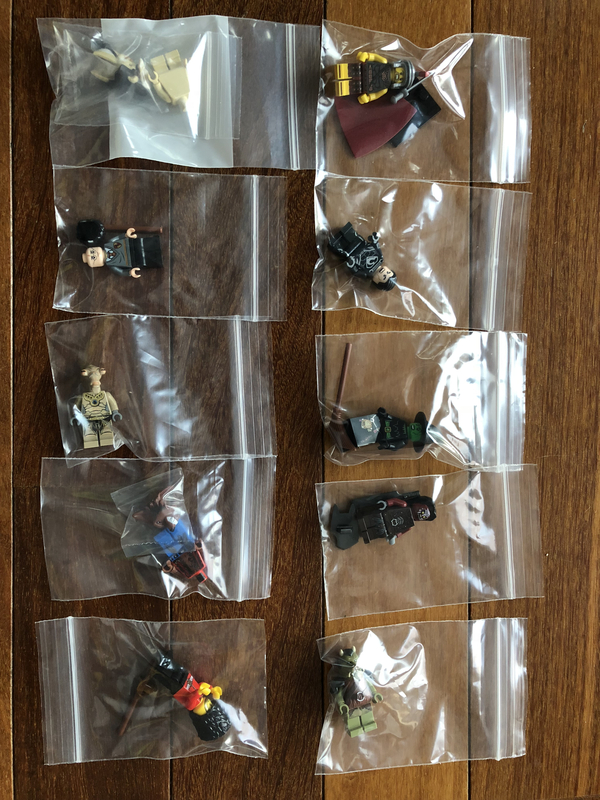 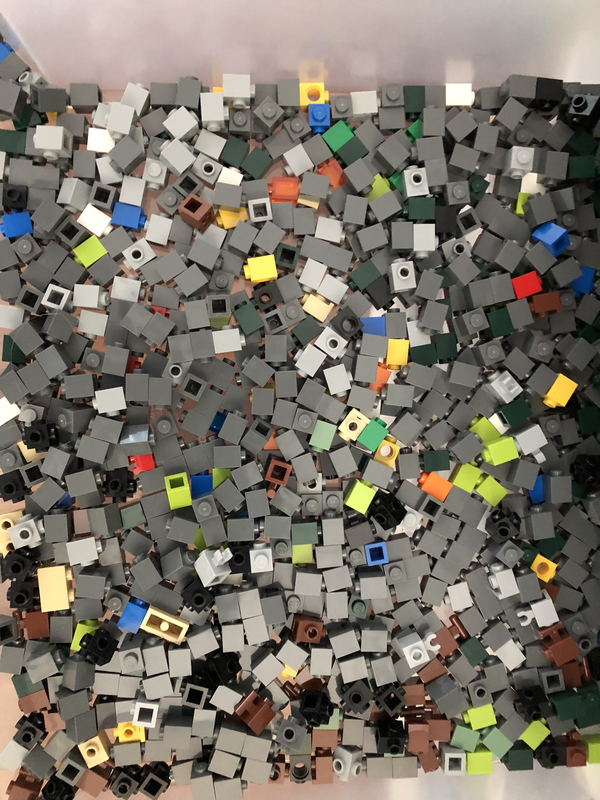 There is 150 mini-figures total separate from above from various sets/series most pictured but a few still need to be bagged. 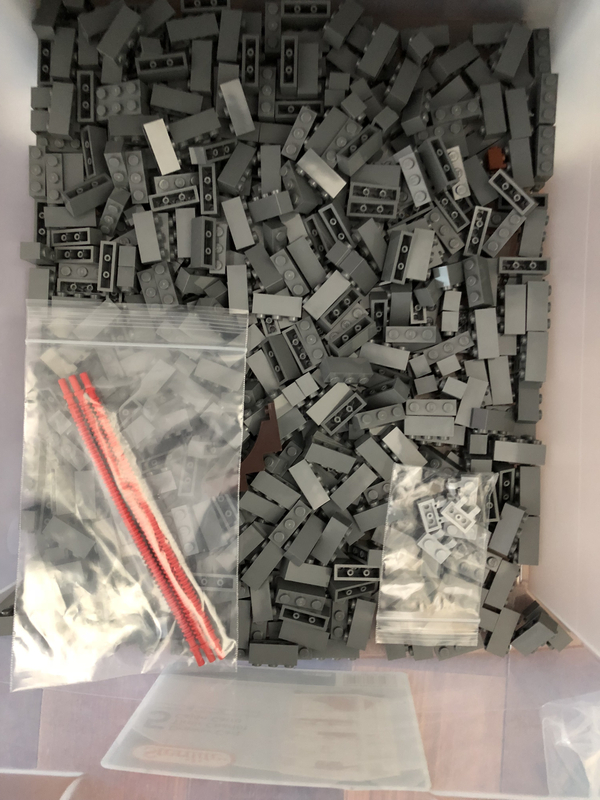 $2.25 per figure as a lot shipped to the USA, outside the USA will need to know the location to figure out shipping. 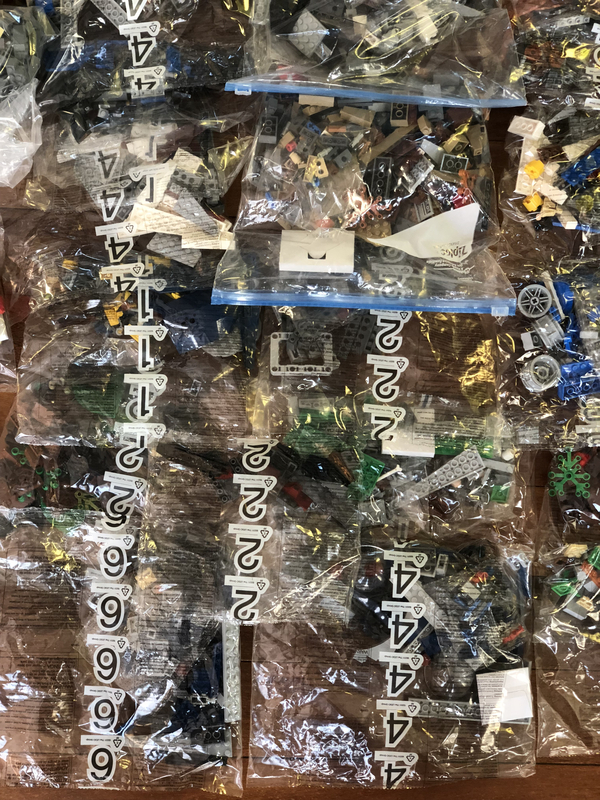 I will be putting up sealed box lots on eBay, from Star Wars, Super Heroes, The Hobit, LoTRs, some part of the lots pictured. 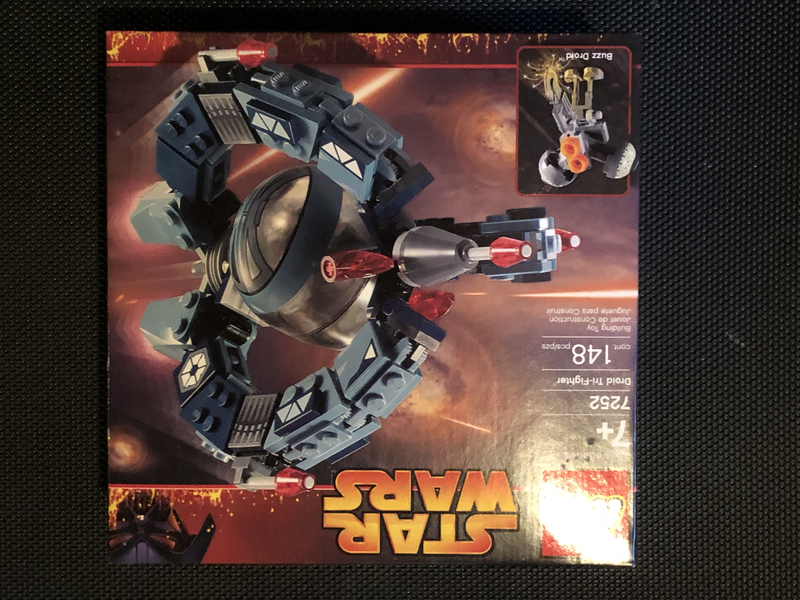 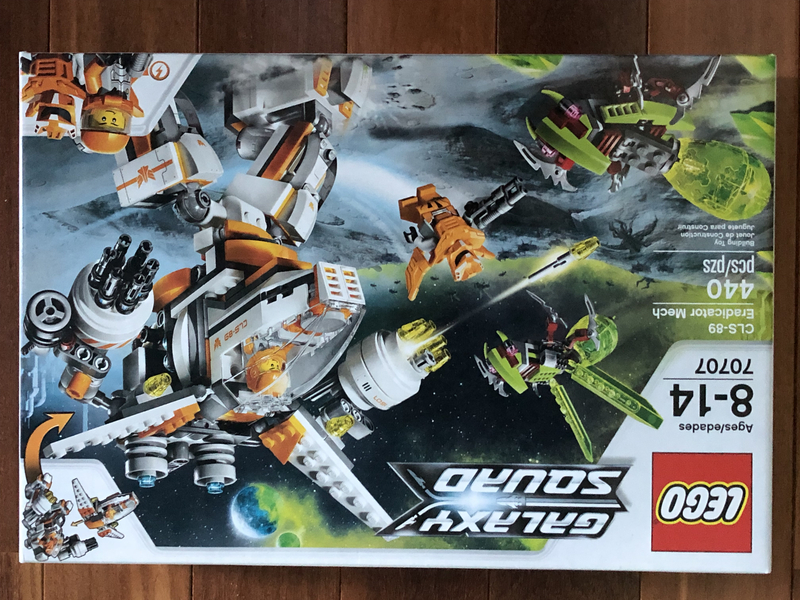 Selling under R2-Dtoys if you are bidding and let me know you are from Bricket I'll give you %5 discount off of winning bid.